I'm a very big fan of the fantasy genre, so when I heard a little whisper about this book, I thought to myself . . . . 'I need to read this'. I tracked a copy down through the publisher's website and eagerly waited for it to arrive. When it eventually came, my first thoughts turned to the book cover image as it didn't immediately suggest the storyline and, to be honest, didn't really sell itself to me. Fortunately, the synopsis on the back sounded very interesting and outlined just enough for me to be intrigued. However, all in all it wasn't really the best start. I really liked the size of the book (about 430 pages) as it was able to give the adventure enough life and sustain the reader's interest. The first part of the story is very detailed and, as a result, quite slow going. However as an older reader, I liked that. But for those readers who might be put off or find it too slow, my advice is to keep going as you shall be rewarded on an epic scale. It has taken the author many years to write this book; influences from J.R.R Tolkien, Philip Pullman and Philip Reeve can be found within this story, and what a story it is. The start of the plot is focused around one Wizard (Greybeard) and his quest to save Everlast. Through the story he is joined by three Dwarfs, two shape shifters and two Elves (all brothers) as well as Perrywinkle, who is a man with a talent for dishonesty. Interestingly, he is enlisted to the task of documenting events that occur along the way. One such example involves the Goblin army, who have a love for killing, and killing they do in abundance! At this point, the story writing is dark and, at times, very graphic which I really loved. The epic battle scenes that are played out in this book have a feel of the Hobbit or the Fellowship of the Ring. They can only be described as big time, movie-screen, fantasy action which leave you feeling breathless for the eventual outcome. The host of characters will keep you engaged, but will probably leave you feeling sad at the end. My favourite character was a Goblin called Bobbucket. He may only play a minor role within this book, but he really made me laugh and will probably have a greater role in the next book - if I am reading between the lines correctly! This is a deliciously dark and, at times, graphic fantasy novel that is a brilliantly entertaining read. It is a great debut book written in an accomplished hand to tell a tale traditionally. The end of the book delivers an epic finale which will leave the reader feeling satisfied. Although the mouth watering glimpses to the start of the sequel are tantalising - I can't wait to get my hands on the next book. I would recommend this to anyone who loves adventure/fantasy and hope that this books gains more coverage over the next few months. Unfortunately, it probably won't find itself on many bookshop shelves, but it is definitely worth tracking down on the Internet. This is one of my top five books of the year, so far! Elven boys Finn and Beezle enter a time portal just before their race is wiped out by an otherworldly warrior and his goblin army. 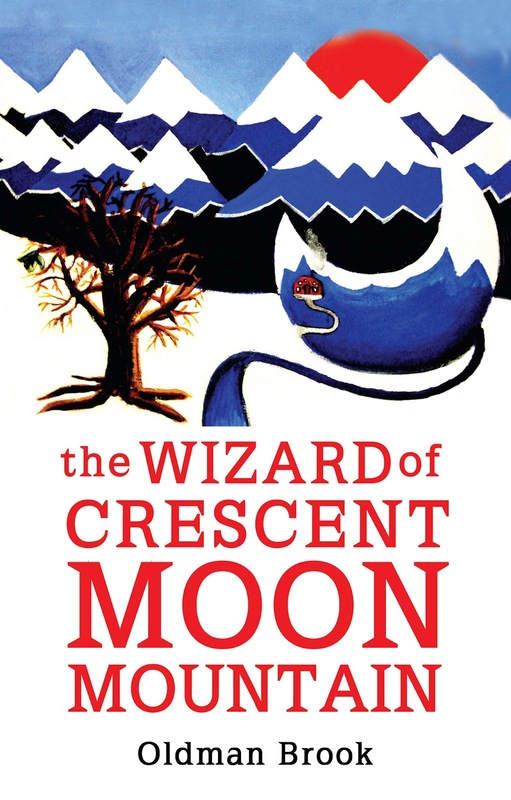 Travelling 3,000 years into the future and arriving in snow-filled lands, the boys are saved from the cold by two shape-shifters sent by Greybeard, the wizard of Crescent Moon Mountain.